The following post by Florence Nakirija, Uganda, originally appeared as part of UNAIDS’s “Faces of an AIDS-Free Generation” campaign. My neighbours used to discuss my sickness and laugh at me. I even heard them speculating about the kind of funeral I would have. But I had a very supportive husband who gave me more than I needed. I loved my husband, but I must admit that I was misled by temptation. I became infected with HIV when I had an affair. In Uganda, we call it a “side dish,” when you have another man outside of your marriage. My husband never did find out about my affair and unfortunately, he died a sudden death and I was left alone with my children. Then I fell pregnant. Three years ago, I found out that I was HIV-positive after my child was born and fell ill. I felt like God was punishing me. Not only was I HIV-positive, so was my son. My neighbours have this perception that I infected my husband with the disease. Little did they know my husband died of something that was not related to AIDS. He was a teacher and one day he just fell ill while at work. I was the first one he called. I even asked if he had eaten something that perhaps was the reason for his sudden illness. It all just happened so quickly. Then my husband was rushed to hospital and he died that day. I was told it was heart attack. I miss him so much. Life would be easier if he was still around. I did wrong by him, but he really was the love of my life. It was the darkest period of my life. My son and I were living with HIV and we were all alone. I still face a lot of stigma. People who knew my behaviour tell me that I did this myself. Keeping my son on treatment has been challenging sometimes because he is so young. There are times when I have to force him to take his medication. He is only six years old and does not understand why he has to take medicine every day. I met another man after my husband died and I conceived my second child. I told him about my status from the beginning and he never seemed to really want to talk about how he feels. We are not together anymore, so I guess that answers that question. There have been negative things in my life, but I am proud that my second son, Paris, is HIV-free. 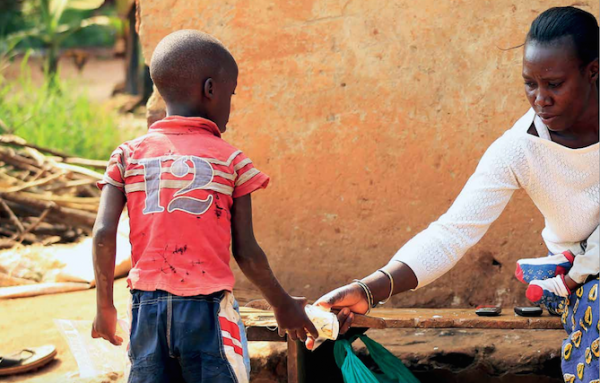 In Uganda, all women of reproductive age fear to go to hospitals. They deliver their babies in their homes in fear of the stigma they might face in hospitals if they test positive for HIV. When I fell pregnant for the second time I thought all the odds were against me because of the first pregnancy. Until I was introduced to the prevention of mother-to-child transmission of HIV program, which changed my fate and helped me give birth to an HIV-free baby. I want all Ugandan women to know that their lives and the lives of their children are more important than what people say. They have to deliver in hospitals and not in their homes. In fact, I would not advise them to even deliver in clinics that do not strongly advise pregnant women to take an HIV test. I gave birth in Mukono Hospital because the doctor told me that they deliver about 500 babies per month and almost all were born free of HIV. He gave me so much confidence in giving birth to my son, Paris, there. 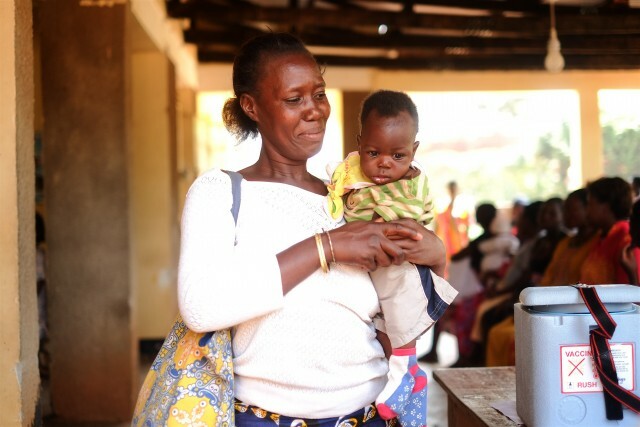 The services and support in health facilities are helping a lot of mothers living with HIV. I am very happy to share my experience and give information to as many women as possible. It gives me great hope to know that creating awareness will eventually help us make sure that children in Africa are no longer born with HIV. Paris just tested negative for HIV again at five months. It makes me so happy. It feels like my redemption every time he is confirmed to be a healthy baby.